Here are all the big plot points you need to know before the crime spree dramedy returns. In this time of streaming and content overload, NBC has continued to curate episodic content TV viewers can't keep away from like the philosophical comedy The Good Place and the Emmy-winning family drama This Is Us. So it's no surprise that 2018's crime spree dramedy Good Girls is returning March 3 for a second season. 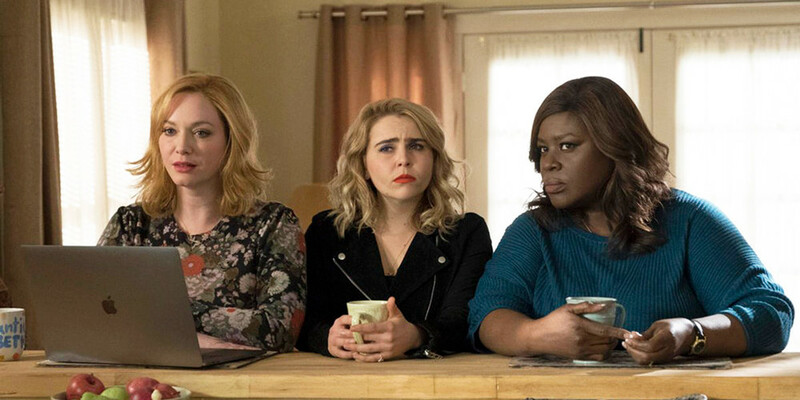 Good Girls, starring Christina Hendricks (Mad Men), Mae Whitman (Parenthood), and Retta (Parks and Recreation), centers on three women who do everything in their power to keep their families and livelihoods together by taking matters into their own hands. To do so, they rob a supermarket to make ends meet, but little do they know the money they stole is affiliated with a crime ring. Good Girls has a straight-forward premise, but gets complicated with each passing episode as the women struggle to navigate a world of crime — and their own personal lives. 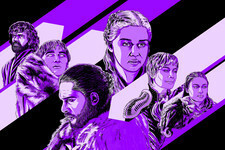 In Season 1, the trio work together and form alliances while executing their plans with the odds stacked against them. In the end, the Good Girls make some enemies, which leads to that cliffhanger ending. With Season 2 just around the corner, let's catch you up on all the Season 1 details you need to know. Also, spoilers ahead! The first episode introduces us to a fragile Beth, Ruby, and Annie. When we meet our trio, times are tough. Beth (Hendricks) learns her car salesman husband has been having an affair and kicks him out of the house as a consequence. Little to her knowledge, he's in deep debt and has few options to pay it off. Beth's younger sister Annie (Whitman) is a young, single mom who works at a grocery store and has a creepy, misogynist supervisor constantly breathing down her neck. Ruby (Retta) works a thankless job as a waitress and has a husband and two children. They're a tightly-knit group, but Ruby's daughter, Sara, has a kidney disease, and her parents struggle to pay for treatments to ensure her recovery. Down on their luck, the women decide to rob the grocery store Annie works for. They use toy guns and dawn ski masks and ultimately make out with more than they need. With the robbery behind them, the women return to their lives until Boomer, Annie's supervisor, starts asking questions. Beth also becomes the target of crime-ring leader, Rio (Manny Montana), who reveals the money they stole was actually his. And here is when Season 1 goes from a lit fuse to a total explosion. Through threats, Rio tells the women to drive to Canada to pick up a package of money as a way to pay him back. However, the package is filled with counterfeit money, which they give to him anyway. Annie's supervisor, Boomer, continues to try and dig for evidence against the women. He goes so far as to try to woo one of the women who the trio have recruited to help them in their new secret shopping/money-making scheme (yes, there is a secret shopping ring involved in this). Unbeknownst to Boomer, the woman he is pretending to cozy up to, Mary Pat, has already become suspicious of the women. Mary Pat begins to ask more questions, and eventually blackmails Ruby, Betty, and Annie into giving her a bigger cut of the money. All the while, the FBI starts to get even more suspicious. Each woman tries to maintain some semblance of normalcy outside of their life of crime. Annie tries to be as discreet as possible at work while trying to keep her family together. Her daughter begins going to a private educational institute located near her father and stepmother. The time apart takes a toll on Annie and as a result, she confides in her ex-boyfriend Gregg. Gregg, the father of Annie's daughter, is once again smitten with his former flame and things go from flirty to hot and heavy quickly. They later decide rekindling was a mistake, but something tells us Season 2 will revisit this storyline. Ruby, on the other hand, seems to finally have things together. Thanks to the money from the heist and further racketeering, Ruby is no longer a waitress and explains to her husband she is a part of a "shop for cash" sort of business. Sara gets healthier, while Ruby and her husband, Stan, are able to treat themselves to nights out. It's a safe setup — until Stan reveals he is training to be a police officer and his first case involves Rio. While all this unfolds, Beth's husband Dean weasels his way back into her life and her home by pretending to have cancer. 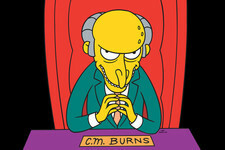 But Dean is faking doctor visits and radiation therapy in order to get closer to his wife and reunite with his family. While the motivation is admirable, his execution is embarrassing. In the last few episodes of the season, everything begins to unravel. The Season 1 finale ends on a major cliffhanger. Mary Pat discovers Boomer has been recording their conversations while wooing her. Ruby's husband discovers she's behind the robberies. 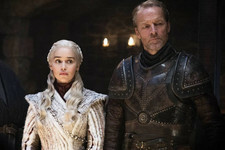 The final moments of the Season 1 finale leaves fans on a sharp cliffhanger with Rio egging on Beth to shoot either him or her brutally tortured husband. 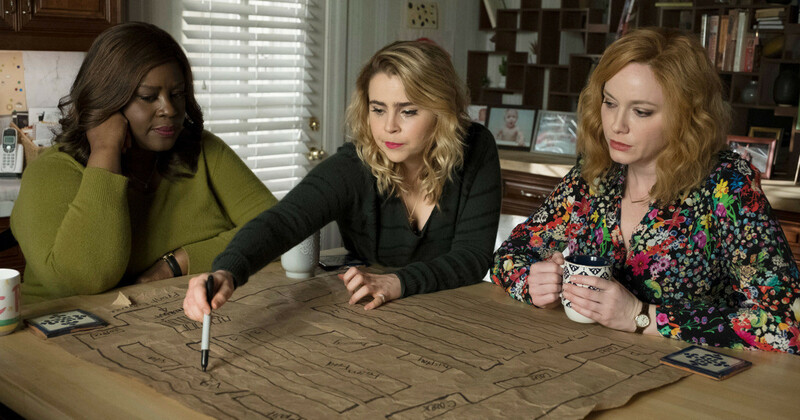 Good Girls Season 1 was packed with intricate storylines with three powerful women at the center. The season also touched on themes about motherhood, gender norms, and the societal expectations of women. Beth, Annie and Ruby are a dynamic trio, each dealing with their own insecurities and overcoming the odds in a male-dominated world. Swindled and belittled by men, they make things even and up the stakes all while keeping everything in their lives together. Season 2, we're ready for you. Season 2 of Good Girls premieres Sunday, March 3 on NBC. You can check out your favorite episodes from Season 1 on Netflix.